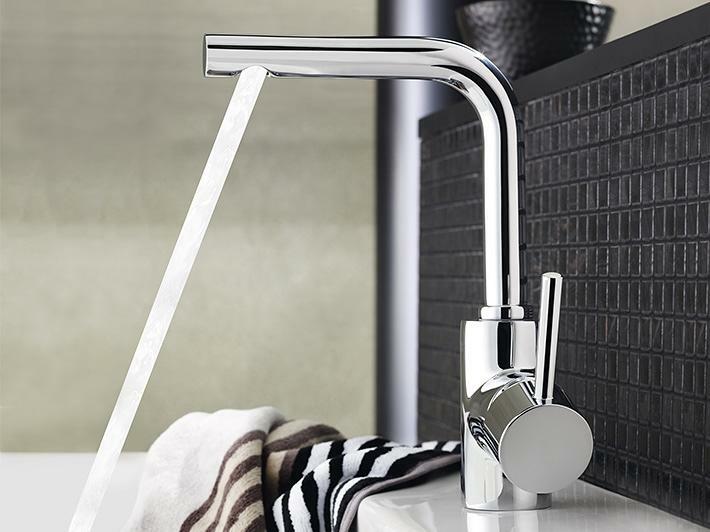 GROHE single-lever basin mixers and two-handle mixer taps fuse the latest designs with advanced technology. 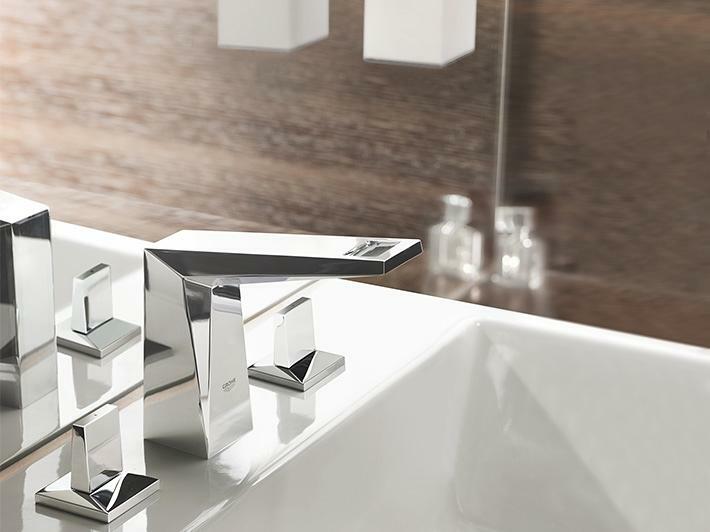 Our bathroom tap collections offer designs to match all tastes and budgets. Award-winning designs and the latest technology. With such a wide array of designs, styles and finishes you’re sure to find a single-lever taps to enhance both your basin and daily cleansing rituals. 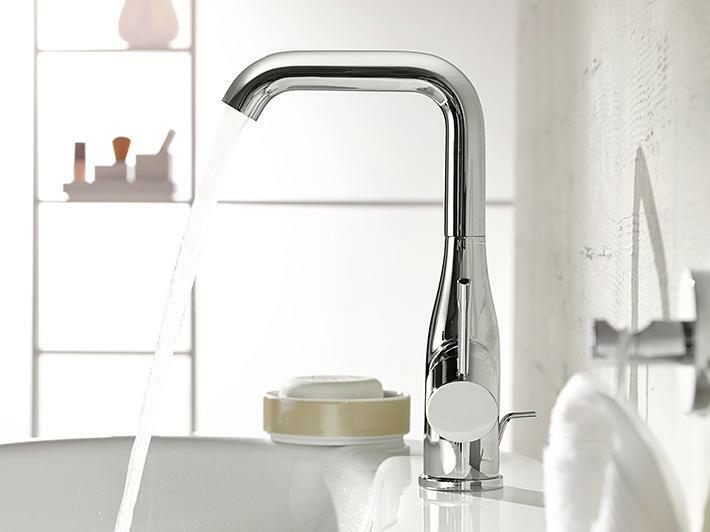 GROHE single-lever mixer taps give one-hand control over both the water temperature and flow rate. 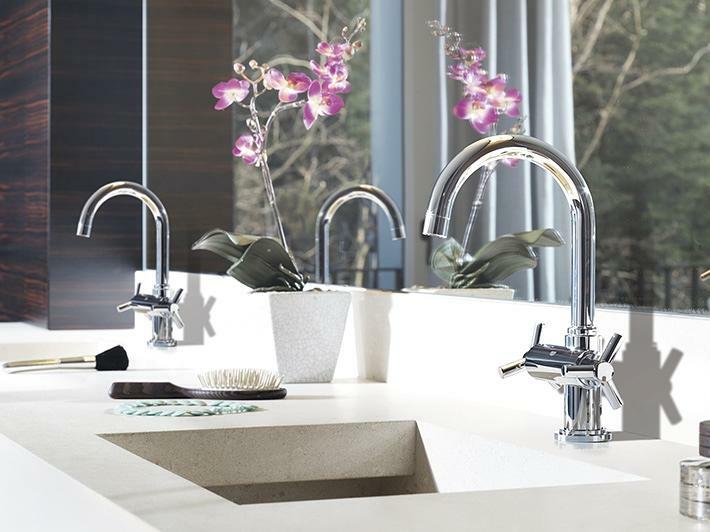 All our single-lever taps feature GROHE SilkMove® technology to deliver exceptionally smooth handling, while the extra-wide angle of operation gives precise control of the water temperature. Water efficiency: Several of our basin taps are now available with GROHE EcoJoy®, which reduces the maximum flow rate to 5.8 liters per minute. If you prefer the experience of controlling the hot and cold water supplies independently, then choose one of our two-handle taps. Three-hole basin mixers: For high-end architectural and interior projects, the three-hole basin mixer is now the tap of choice. Featuring two handles and a central spout, three-hole basin mixers can be found in a number of our bathroom tap collections. Single-hole basin mixers with two handles: The basin tap is mounted in a single hole with both hot and cold water handles (or levers) attached to either side of the tap body. Stylish and modern, our taps with high spouts turn the basin area into a focal point. The elevated spout height is not only an attractive feature, it also increases the comfort zone under the taps. Basin taps with swivel spouts: This feature is particularly useful if you want to fill the basin to wash your face or hair, as the spout can simply be pushed to the side of the basin. Vessel basin taps: Vessel basins, where the basin sits on top of the counter, are now a popular choice for both traditional and modern bathroom schemes. 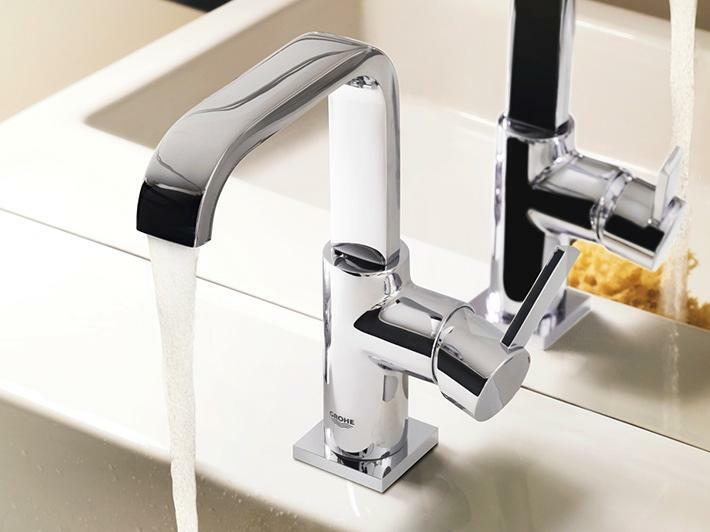 Several of our bathroom tap collections also include taps designed specifically for use with vessel basins, where a higher spout is required to reach over the side of the basin.